A little-known piece of Woolloomoolloo’s seaside heritage exists in the fresh and modern Frisco Hotel. The stylish interior pays homage to the location’s rich navy legacy with a chic fit out by award-winning interior architects Alexander & Co. Exposed brick, wall tiling, leather banquettes, solid wooden floors and quirky nautical accents set the scene. 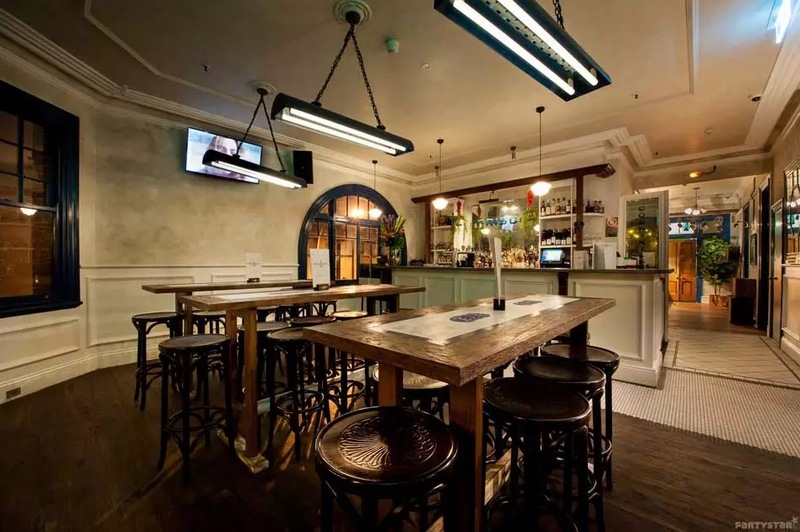 The upstairs Cannon & Anchor Rooms boast an exclusive bar area and two breakout rooms which are handy for speeches, food serving and/or gifts and cake. One of the rooms leads onto a huge, north-facing balcony with CBD and water views. A sea breeze and all-day sun meld into fairy-lit ambience by night, creating an ideal setting for your important event.